Kajiado is a very fertile area with the potential for agriculture. However, a huge part still relies on rain water which is unreliable. Mr. Githinji started farming over year ago in his farm in Kajiado County. His greatest challenge was getting water from the borehole to the Losiani farm which is approximately 12 acres. 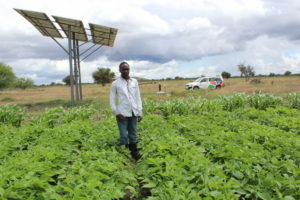 He approached Epicenter Africa and we installed a solar power pumping system in his farm. About a year later, he is a very happy customer who is reaping big from his farm. With readily available water thanks to solar, they are able to farm all year round and not depend entirely on the seasonal rains. 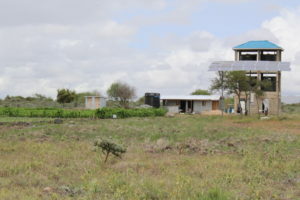 The farm manager also states that with solar, they are able to get approximately 20,000 liters of water per day and on days where there are more sun hours, the output is likely to increase. They also have an added advantage of being able to do crop rotation in their farm which enables them to have farm produce at any moment hence more returns in their farming venture. 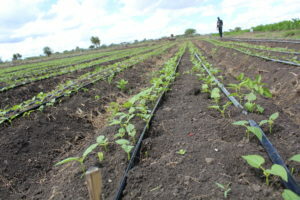 With the aid of Drip irrigation, farming becomes easier and faster as there is little or no time spent on watering the crops around the farm, yet there is assurance of the crops getting enough water every day. Mr. Githinji is now a constant farmer, confident that his farm will yield crop irrespective of the season thanks to Solar. Epicenter Africa is proud of being associated with the success of Losiani farm as we continue being committed to changing lives through the solutions we offer. this will depend on the amount of water you need per day. we shall be sending you an email in this regard.